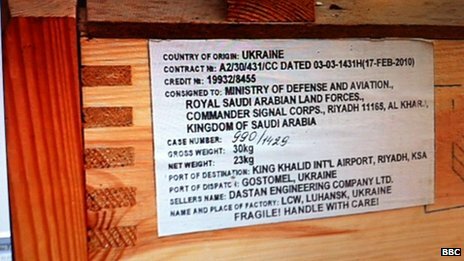 Much has been made of the recent BBC News article featuring an image of a shipping crate marked for delivery to the Royal Saudi Arabian Land Forces (Saudi Arabian Army), found in a Free Syrian Army base in Aleppo, Syria. Whilst the BBC article uses the term ‘Saudi weapons’ in its headline, the crate rather more likely contained small arms ammunition produced at the Lugansk Cartridge Works (LCW), in the eastern Ukrainian city of Luhansk. LCW (formerly known as ‘Soviet State Factory, Lugansk’) was a key ammunition production plant during the Soviet era, manufacturing predominantly 9×18, 5.45×39, and 7.62×39 calibre cartridges. LCW currently manufacture lead core full metal jacket (FMJ), steel core FMJ, and blank ammunition in a variety of calibres, and also manufacture ammunition from their ‘sporting-hunting’ range under contract for WOLF Performance Ammunition. During the Soviet era, LCW produced cartridges bearing the headstamp marking ‘270’. Headstamps featuring the ‘270’ factory code have been found widely throughout conflict zones, including during the Libyan conflict in 2011 (discussed in an upcoming report from this author), in Somalia in 2010, and in many other regions. ‘270’ was used on military contract 7.62×39 ammunition as recently as 2008 (and possibly still is). 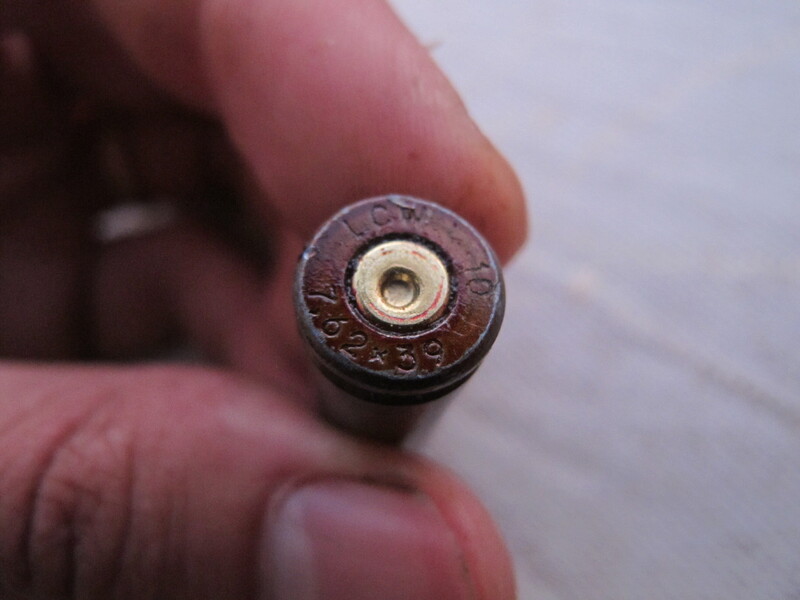 Sometime around 2008, LCW began marking civilian ammunition with ‘ЛПЗ’ (Cyrillic ‘LPZ’ for Luganskij Patronnyj Zavod, or Lugansk Cartridge Works). The use of the ‘LCW’ headstamp code has been seen in literature, but has not been documented on cartridges until now. It is unknown precisely when LCW transitioned from ‘ЛПЗ’ to this marking practice. The headstamp photo above was taken in September 2012, in the town of ad-Dana, near the Bab al-Hawa border crossing between Turkey and Syria. It was taken by Belgian journalist and frequent arms chronicler, Damien Spleeters. The headstamp consists of three elements: ‘LCW’ for Lugansk Cartridge Works, ‘7,62×39’ referring to the 7.62x39mm calibre of the cartridge, and ‘10’ for the year of production, 2010. The headstamp date (2010) matches the contract date seen printed on the label of the crate (17 February 2010), as the cartridges were likely shipped after this date. The cartridge case itself is of lacquered steel construction, and likely contained an FMJ projectile with either a mild steel core and lead tip filler, in the style of Russian/Soviet PS ball cartridges, or a lead core, in the style of their ‘hunting-sporting’ rounds [Update: we now know they were steel-cored projectiles; see below]. The ammunition crate is labelled as number 990 out of 1429. The crate itself is likely to have contained 1,320 or 1,400 cartridges, meaning the original contract was likely for over 1.8 million cartridges (though the actual number could vary greatly depending on the breakdown of calibre/s and quantities). The label on the crate also indicates that the sale was brokered through Dastan Engineering, a Kyrgyz firm with offices in Ukraine. Damien Spleeters has an article on the implications of such a find, here. Update 11/10/2012: Updated information re: LCW headstamp marking practices. Note: last confirmed ‘270’ headstamp dates from 2008. Anyone with a later headstamp, please get in touch. Update 12/10/2012: C.J. Chivers has added more to the picture, here. C.J. Chivers posted the image above as part of his follow-up piece on the LCW crate. It shows the inner packaging of the crate, an ammunition can often referred to as a ‘spam can’ or ‘sardine can’. This factory-sealed packaging is stamped with information indicating the date of packing, cartridge type, production facility, and the powder used. The image tells us that this can contains M1943 cartridges (AKA PS ball), which are FMJ rounds with a steel core and lead tip filler. It also tells us the crate was packed at LCW on 01/05/2010, and that the cartridges contain Sunar 7,62 1/10K powder, manufactured at KGKPZ, the Russian state-owned gunpowder factory in Kazan. My thanks to fellow IAA forum members and Alex Diehl for additional info. Cheers to IAA forum member ‘Hooke’ for the tip re: powder. 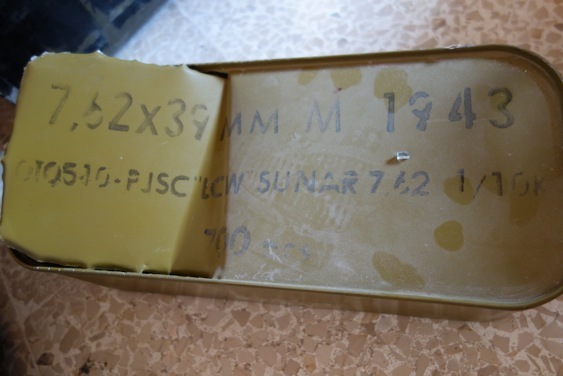 Should you have more images of ANY small arms ammunition in Syria, particularly headstamps or clearly marked packaging, please don’t hesitate to get in touch with me. – Ukraine reported in its own arms export report that it has exported 4000 automatic rifles/carbines (or whatever they call them in their report) to Syria in 2011 (http://www.sipri.org/research/armaments/transfers/transparency/national_reports/ukraine/ukr-11.pdf ) It seems plausible the 2010 LCW cartridges are related to this export. Thanks for the comments. I’ve never seen nor heard any evidence of LCW producing pyrotechnic signal flares, or similar. I still think the combination of the 2010 dates (on both headstamp and box), the box weight (a recognised weight for LCW 7.62×39 packaging containing 1320 cartridges), the large number of crates in the contract (1429), and – of course – the factory of manufacture, make SAA the likely contents. Another thing i was wondering was about, would you not expect that the crates would have information about the ammunition stencilled our burned on it? E.g. the calibre of the ammunition. From what I have seen of such crates that seems to be standard practice. It’s certainly the norm, though I have seen a number of exceptions. The image from the BBC article doesn’t show the crate in its entirety, either. Nice research. Thanks for posting this information.